This weekend, The Martian opened in theaters, and Sicario went into wide release as well. Let's take a look at this weekend's box office. 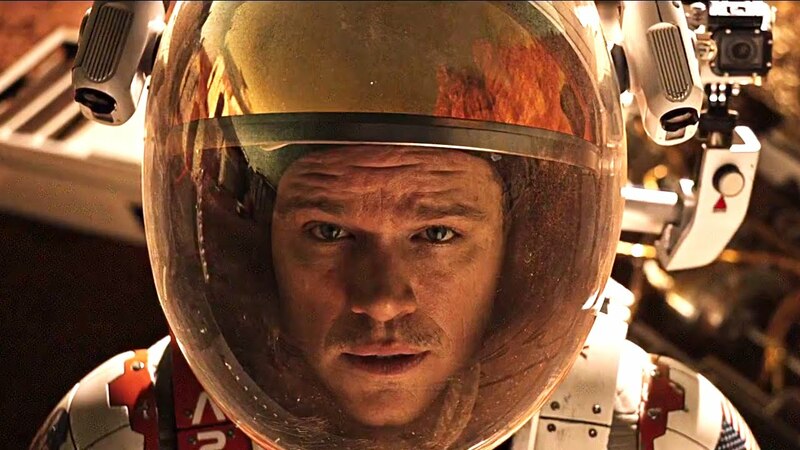 On its opening weekend, The Martian came in first place. The film hails the return of sci fic guru Ridley Scott, and almost broke the record for highest grossing film of October. It came just short of Gravity's record of $55.7 million in 2013. These numbers show that people aren't done with Scott yet. Some of his previous movies have flopped at the box office, but from all the hype coming from critics and fans, it looks like people went out in droves to see this film. The question now becomes how much of a drop off it will have. The Martian is getting really good word-of-mouth, so I wouldn't be surprised if it has an under 40% drop off to next week. You can read our review for the film here. In its second week, Hotel Transylvania 2 came in second place. The animated kids film has made $150 million worldwide so far, which is a respectable earning. It is actually ahead of the original Hotel Transylvania by about $15 million. This is no real surprise to me. Like I've said before, animated kids films usually do very well for themselves at the box office. Especially with it being a sequel to an already successful film, this bodes very well for for Hotel Transylvania 2. I'm sure that this film will have continued success in the coming weeks. In its first week of wide release, Sicario came in third place. This is a film I wanted to see this weekend, but I ended up seeing The Martian instead. When the film was in limited release, it did exceptionally well for itself, which set it up for a very large wide release. With that in mind, Sicario didn't do as well as I would have thought, but $12 million is still a modest intake. I'm worried that this film will get lost in the shuffle as newer releases open. 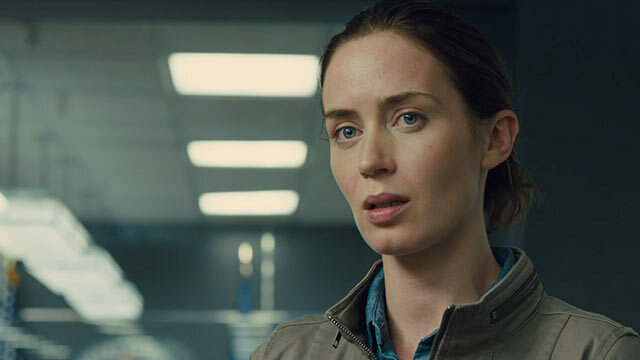 It's possible Sicario may pull a Kingsman: The Secret Service and hover in the top 5 for several weeks, but at this point it's unknown how it will end up faring. In its second week, The Intern came in fourth place. This movie only had a 34.5% drop off from last week, which is a decent percentage. Nancy Meyers has her following, and this style of film definitely attracts an audience. So I'm not really surprised that The Intern is doing well at the box office. However, I do think it will drop off the top 5 list. If not next week then the week after. There are just too many newer and bigger films coming out that it will become overpowered. It's pretty much inevitable. But when it will happen is the bigger question, and how much the movie will make by the end. In its third week, Maze Runner: The Scorch Trials came in fifth place. Though the film started off with a strong opening weekend, it has been dropping drastically these past three weeks. Whether fans are disappointed and poor word-of-mouth is spreading or the critics reviews are catching up with it, fewer and fewer people are going out to see The Scorch Trials. This makes me think that this film will be out of the top 5 pretty damn soon. While this movie has still found success, the studio should be cautious. The drop off is steadily declining, and this sequel is behind in the profits of the first film. While its numbers aren't bad, studios don't want to see that trajectory. But based on the numbers from these past few weeks, I expect The Scorch Trials will be out of the top 5 by next week. To re-cap, #1 was The Martian, #2 was Hotel Transylvania 2, #3 was Sicario, #4 was The Intern and #5 was Maze Runner: The Scorch Trials. Next week, Pan opens in theaters, while The Walk goes into wide release and Steve Jobs and 99 Homes go into limited release. Here's my prediction for next week's top 5: #1 Pan, #2 The Martian, #3 Hotel Transylvania 2, #4 The Walk, and #5 Sicario. What do you think of this weekend's box office? What do you think will be number one next week? Leave your thoughts in the comments section below.